2017 Review for doyler.net – Bonne Année! With another year in the books, it's time for my 2017 review! It is a little earlier in the year than last year, but it's the holidays and I didn't want to write a real post. Some of this information will be the same as my blogiversary post, but that's because it was also posted this year. First, I managed to beat my goal of 50,000 views by over 15% this year! 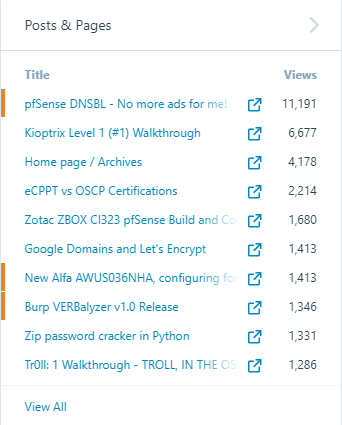 My most popular post this year was my pfSense DNSBL post, which isn't too surprising. This was a popular topic, and not only among infosec professionals. My Kioptrix walkthrough came in at a solid second, which also makes sense given its introductory nature. 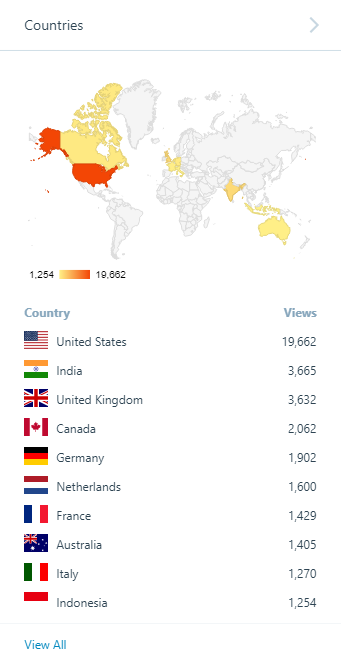 Almost all of my readers are geo-located in the US, but it is fun to see where everyone else's IP originates from. 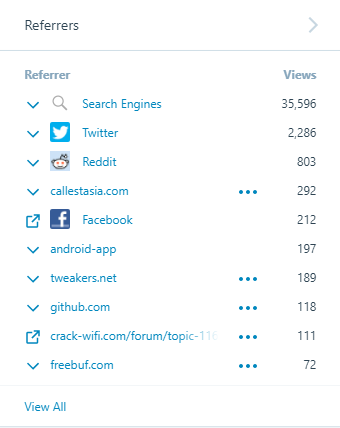 My most popular referer by far is still search engine traffic. This is both a blessing and a curse. 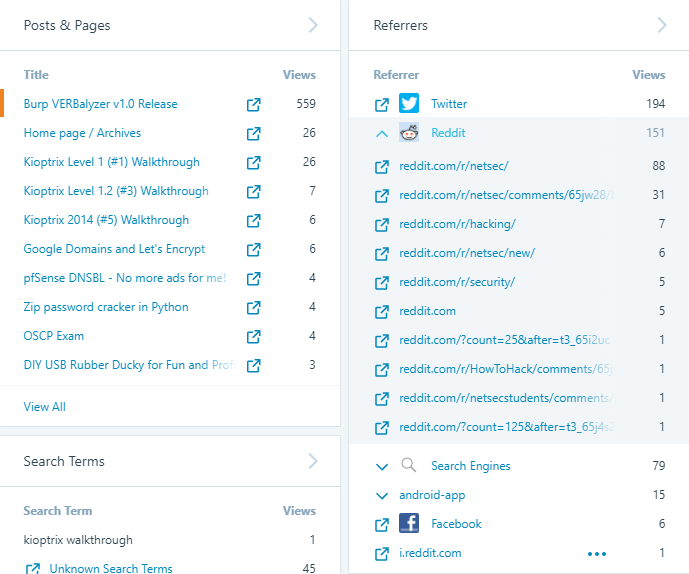 It is great to get so much organic traffic, but it also means that I could do a better job promoting the site. 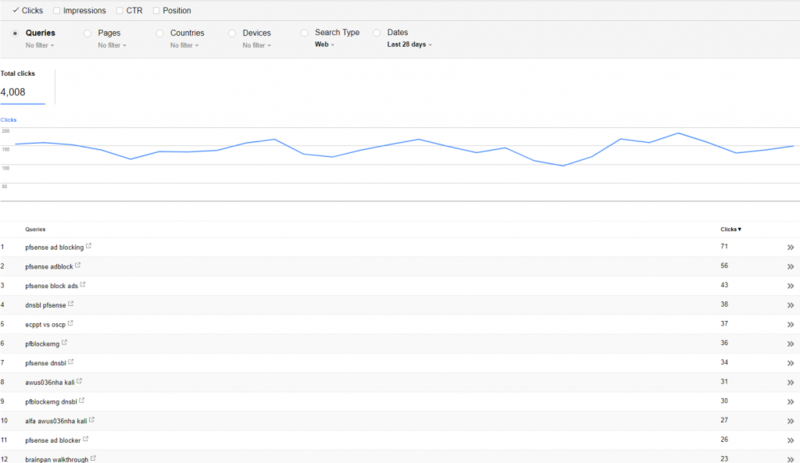 Additionally, I should probably get better at SEO to increase those numbers more. Not surprising based on the most popular post, but a lot of my traffic is coming from pfSense searches. GitHub actually managed to pass PaulSec's blog post as my most common outgoing traffic, with a nice mix of my tools + other people's. 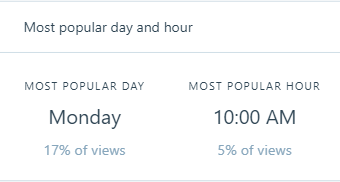 Finally, the most popular time and day for my blog are Monday and 10:00am respectively. I'm not sure if this is because people are reading my posts once they get into work, or something else. It could be because of the Twitter e-mail updates, an RSS reader program, or another reason entirely. 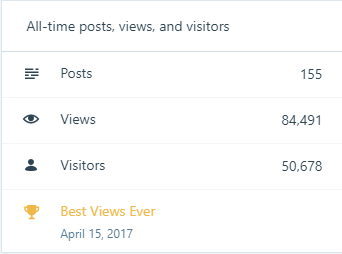 My most views in a day, for both this year and all-time, was on April 15, 2017. I managed to get 689 views in one day, which is over 4 times my daily average of 156. The reason for this spike in viewership was because of a few Reddit posts I made that day. I released my Burp VERBalyzer plugin, and shared it to a few different sub-reddits. I'd love to get more posts on Reddit, but I don't want my account used only for shilling my site. I either need to find time to share other things as well, or have other people share my posts. While most of my traffic is still coming organically, my big viewership days are still from some sort of promotion. I went to, and spoke at, 6 different conferences this year! I upgraded or picked up some new hardware this year, so I got to do a few write-ups in that category as well. Next year will probably have fewer new toys, but hopefully some more in-depth uses. DIY USB Rubber Ducky for Fun and Profit! With my new job being friendlier towards disclosure, plus more collaboration, I made a lot of new XSS posts. These ranged from various attacks to different filter or limitation avoidance. I still have a few more in the queue for next year, so be on the lookout! While my tooling wasn't as active as I would have liked, I still had a few solid releases this year. PyDHCPDiscover and VERBalyzer were entirely new tools that got some decent traction and usage. I also updated RWSH to v1.1, with plenty of ideas for v1.2 or v2.0, which will be coming in 2018! I even managed to pick up two new eLearnSecurity certifications this year. I'm hoping to finish at least my GXPN and eCRE next year, but we'll see. I released a few exploits this year, though most of them were for older vulnerabilities. The two that I'm most proud about are the DB2 one (because I hadn't seen that specific one before) and the CertReq exfil, because I spent a ton of time on it. CertReq Exfiltration – Getting Data via Native Tools & CSRs! I wanted one more category to catch a few other posts that I thought were really good this year. The two CTF write-ups are self-explanatory, and I have more coming for 2018. The new job was just something awesome, and led to even better quality posts here. Finally, the stealing hashes post was one of the coolest attacks I performed this year, so I had to include it. New Job, Blog Returns, News at Eleven! DNS Exfiltration with Dnsmasq; easy as 1, 2, 3! First, I definitely plan on continuing my streak of posting (or back-dating) every Saturday next year. In addition to that, I have set my goal at 70,000+ views for the year. I got this number based on the last 5 months of this year, and extrapolating out. It should actually be closer to the 73,000-75,000 range, but I'm not sure if I'll be able to keep up those numbers yet. Well, it was a great year for my blog, and I hope you enjoyed it. Other than more posts, I'm also hoping to try to get some videos started in 2018. If you have any other ideas, requests, suggestions, or questions, then please send them my way!